Born: 8 March 1875, Hinckley, Leicestershire, England. Died: 31 October 1942, South Africa. John W. Phillips, the eldest son of a farmer, arrived in the Cape Colony as a young man of 21 in November 1896, shortly after the outbreak of rinderpest in South Africa. He was appointed in the Department of Agriculture of the Cape Colony as a junior assistant on the staff of Professor Robert Koch* and for three months assisted the latter in rinderpest investigations at his laboratory in Kimberley. Before Koch left in March 1897 Phillips was placed in charge of preparing rinderpest serum for the British South Africa Chartered Company, and he continued this work under the supervision of Dr George Turner* and Dr W. Kolle*. In July 1898 the laboratory was transferred from the Cape government to that of Rhodesia (now Zimbabwe). Despite his lack of formal qualifications Phillips was placed in charge of the laboratory, though he remained in the Cape civil service. The serum he produced was sold to the Egyptian government. By early 1900 Phillips was at the Bacteriological Laboratory in Cape Town. In March that year, at the request of the Egyptian government, he was sent on special service to Egypt to initiate the production of rinderpest serum there. He also visited the Sudan. From north Africa he went to England on long leave, returning to Cape Town on 8 January 1901. Soon after his return he was offered appointments by both the Rhodesian government and the new administration of the Transvaal Colony. He accepted the position of lay superintendent of the Leper Asylum near Pretoria, for which he had been recommended by Dr Turner (who had just been appointed medical officer of health for the Transvaal). Turner described him as "a very capable man of business, accustomed to farm operations and stock... [with] a good knowledge of the manufacture of Rinderpest serum" (Robinson, 1946, p. 176). 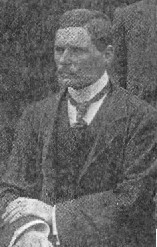 Phillips assumed duty on 1 June 1901. The title of his post was changed to that of superintendent in 1908. In January 1903 he married Aletta Ferreira, with whom he had at least one son. He retired from his post (from 1910 in the civil service of the Union of South Africa), in 1917, and settled at Port Alfred. There he became secretary of the Royal Port Alfred Golf Club. Robinson, E.M. A pioneer of veterinary science in South Africa: John William Phillips. Journal of the South African Veterinary Medical Association, 1946, Vol. 17, pp. 174-176.